Dunlavin and District Forum – Local community group serving part of West Wicklow. Kildare Village Outlet Shopping Enjoy the luxury of spending less at Kildare Village shopping outlet , less than 30 minutes form Rathsallagh, Calvin Klein Jeans, Le Creuset, Karen Millen, Nike, Molton Brown, Villeroy & Bosh, and much more . Curragh Racecourse – Ireland’s premier flat racing venue. Home of the Dubai Duty Free Irish Derby and dozens of other races annually. A short drive from Rathsallagh. Punchestown – the best in Irish National Hunt Racing. Home of the Irish National Hunt Festival each spring and additional fixtures throughout the year. Located 20 minutes away from Rathsallagh. Irish National Stud – Birthplace of Ireland’s throughbreds. Home of the Japanese Gardens and St. Fiachra’s Garden. 1/2 hour from Rathsallagh. Dúchas, Ireland’s National Heritage Service, administers and maintains many of the country’s historical sites, including prehistoric sites, monasteries, castles and historic houses as well as the national parks. Near by to Rathsallagh are the monastic settlement of Glendalough and the Wicklow Mountains National Park. Powerscourt – an 18th century aristocratic mansion, Powerscourt includes 47 acres of one of Europe’s finest gardens as well as an excellent luncheon restaurant. A perfect day trip from Rathsallagh including a drive through the Wicklow mountains. Ireland’s Blue Book features over three dozen of Ireland’s premier Country Manor Houses, Castles and Restaurants around the country. Georgina Campbell’s guide, Now in its eighth year, the Guide has earned recognition as the definitive guide to Irish hospitality. All Georgina Campbell Guides are based on the principle of independent assessment and selections in the guide are based entirely on merit. 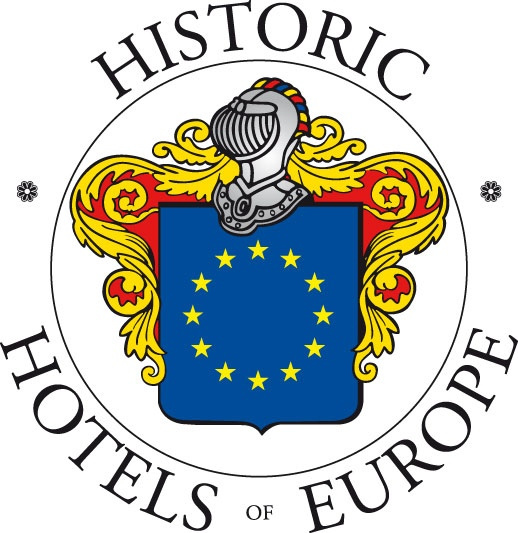 Historic Hotels of Europe brings together establishments that refelct their countries’ historic heritage and architecture. Karen Brown’s Guides – “Travel Your Dreams”. A hand-picked selection of accomodations throughout Europe, North America and Mexico. Lynott Tours – Independent and escorted travel to Ireland, Britain, and other destinations. Over 30 years experience arranging lowest airfares, BB’s, historic hotels, Irish castles, cottages, car rentals, sightseeing, golf, Irish bicycling tours, walking tours, garden tours and more. Serving the US and Canada. Located in Garden City New York. Where 2 Golf – Where2Golf.com is one of the fastest growing golf information websites, helping travelling golfers find the best golf?n many of?he world? most popular golfing countries. Each featured course?as been played, photographed, described and rated by the Where2Golf team. International Association of Golf Tour Operators (IAGTO). Budget Car Rental – The leaders in the Irish Car Hire Market with locations in Dublin, Shannon, Cork and Belfast airports.